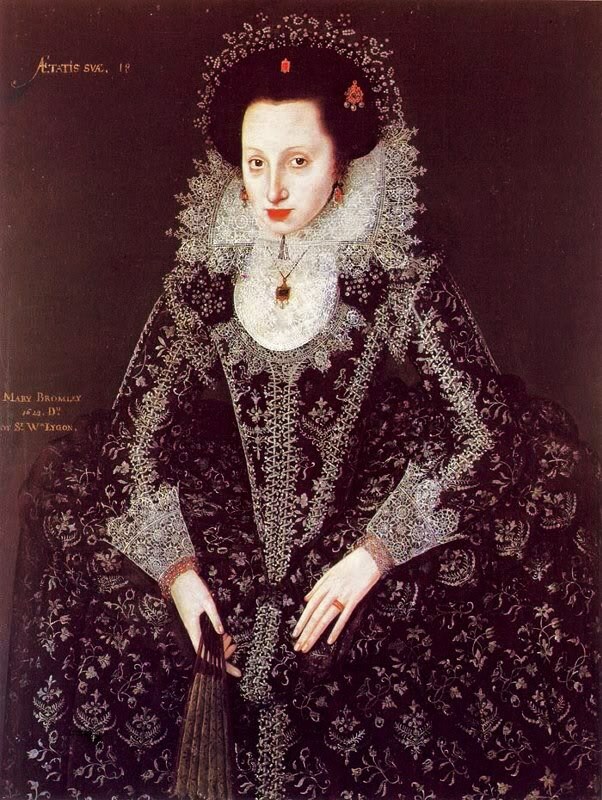 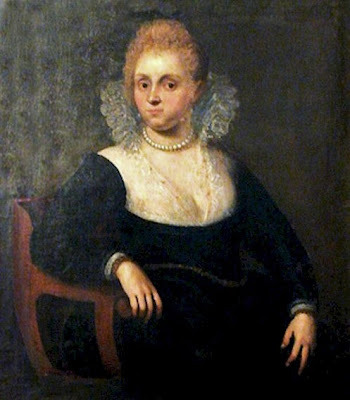 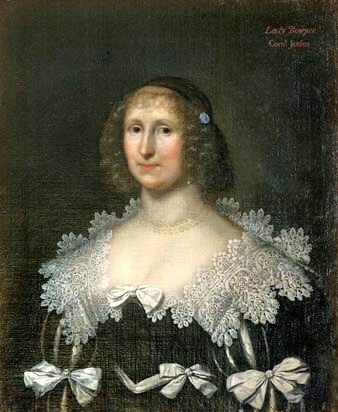 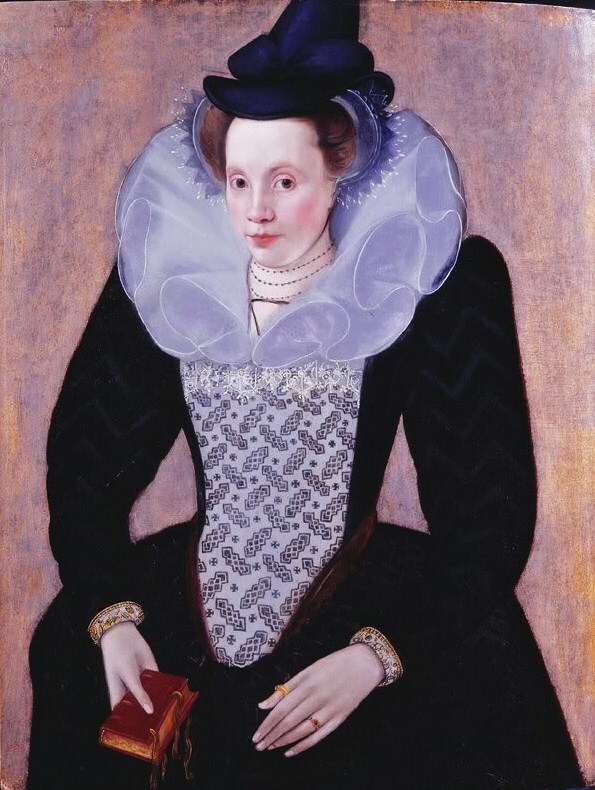 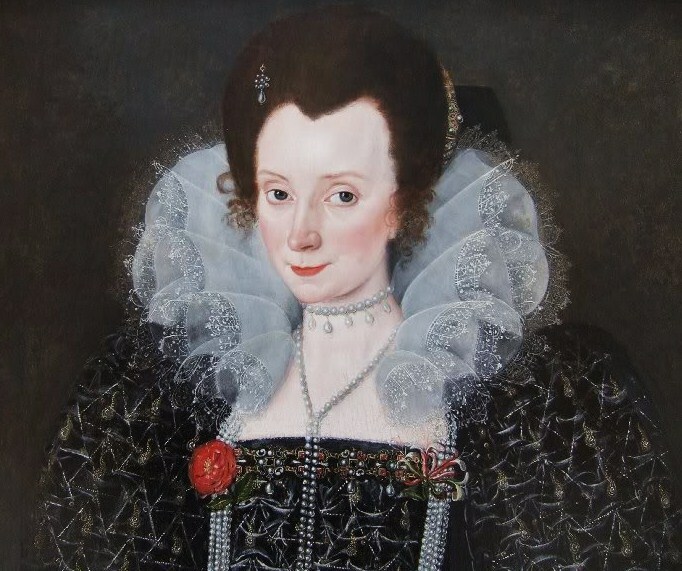 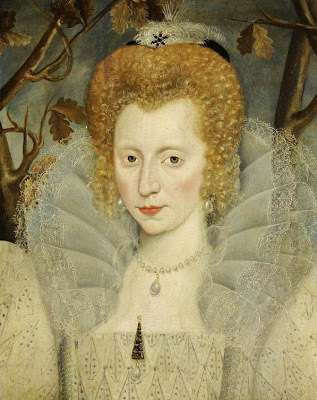 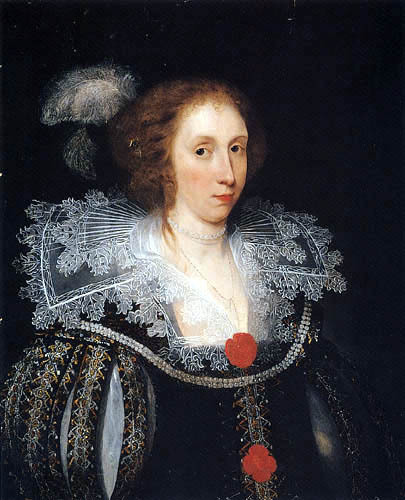 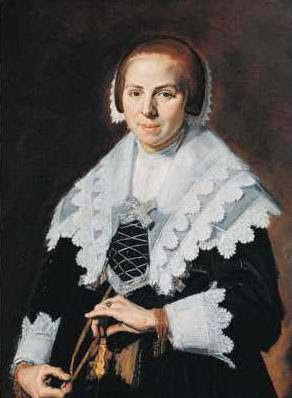 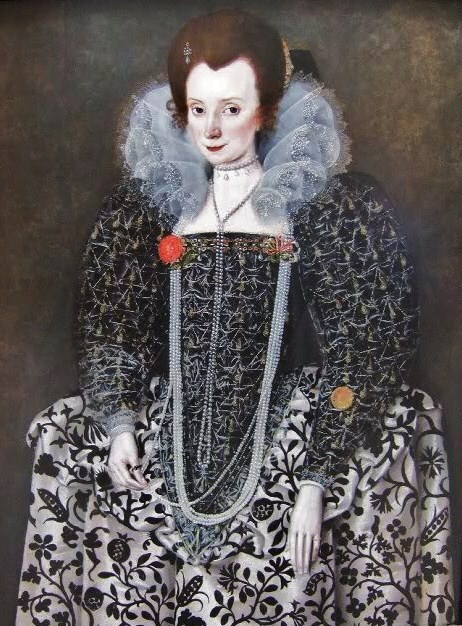 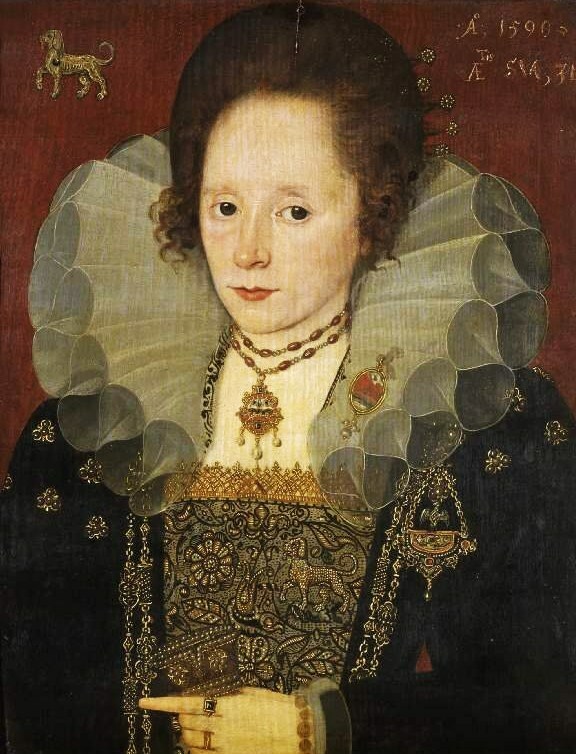 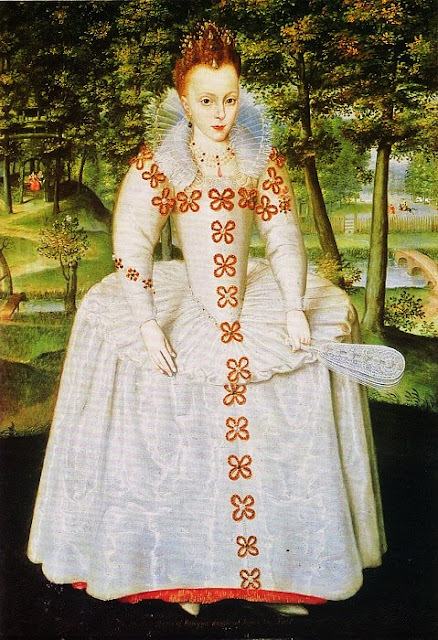 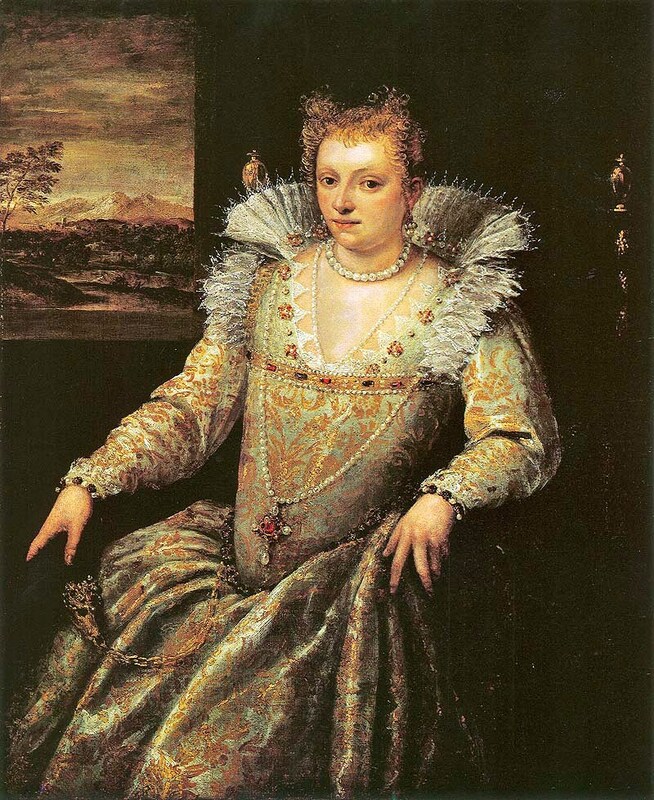 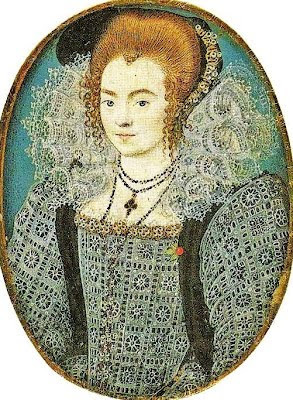 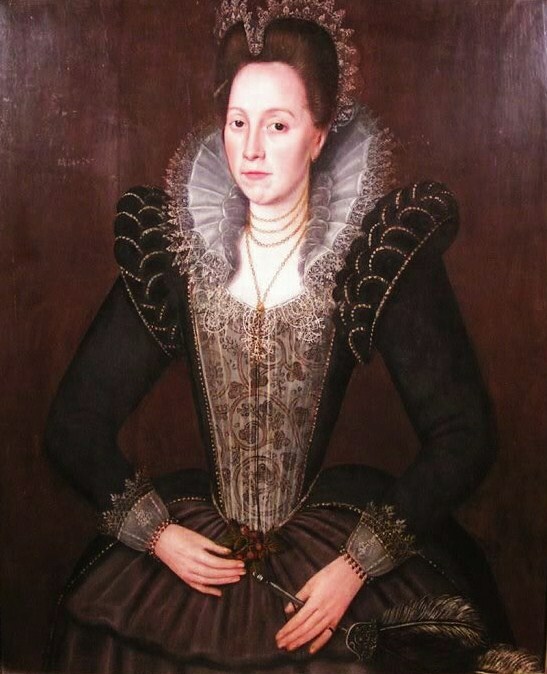 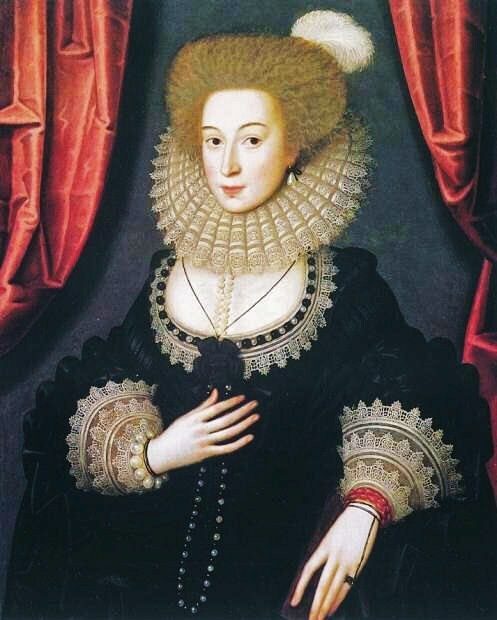 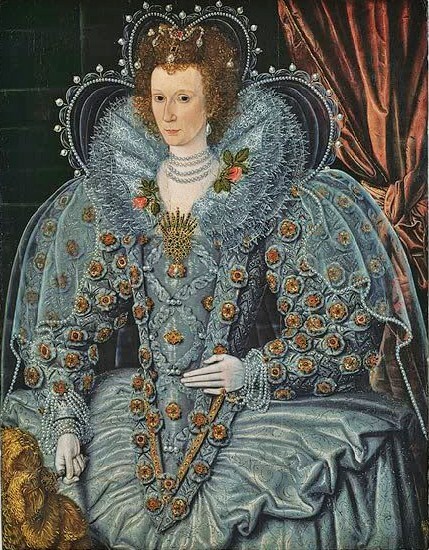 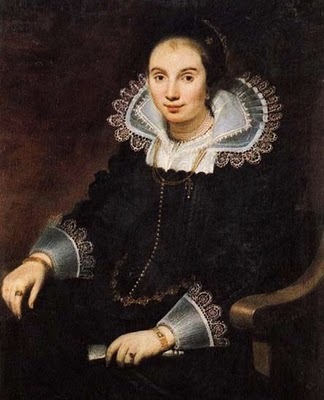 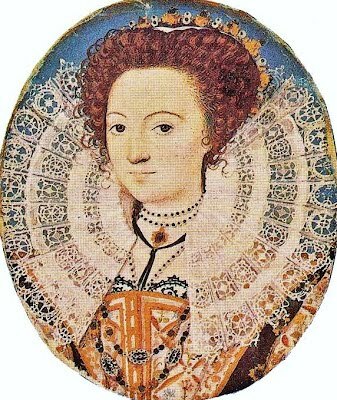 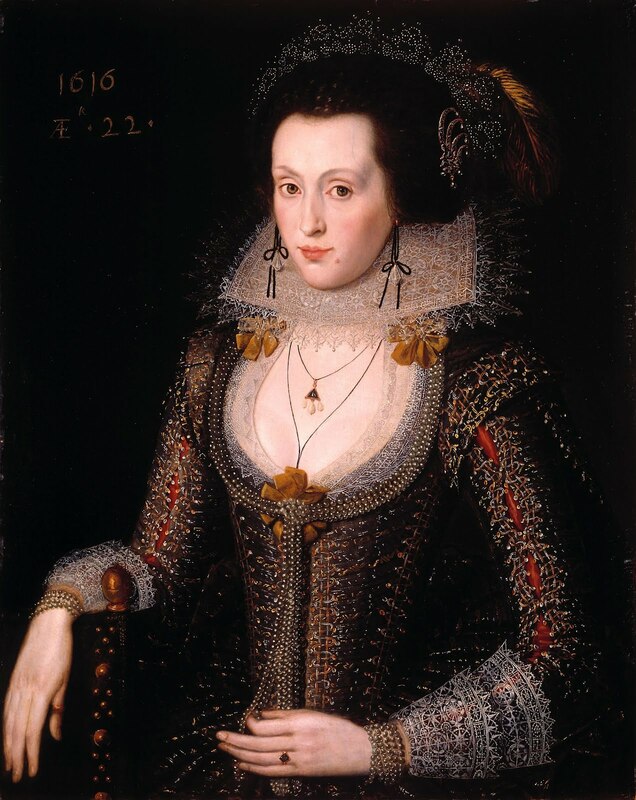 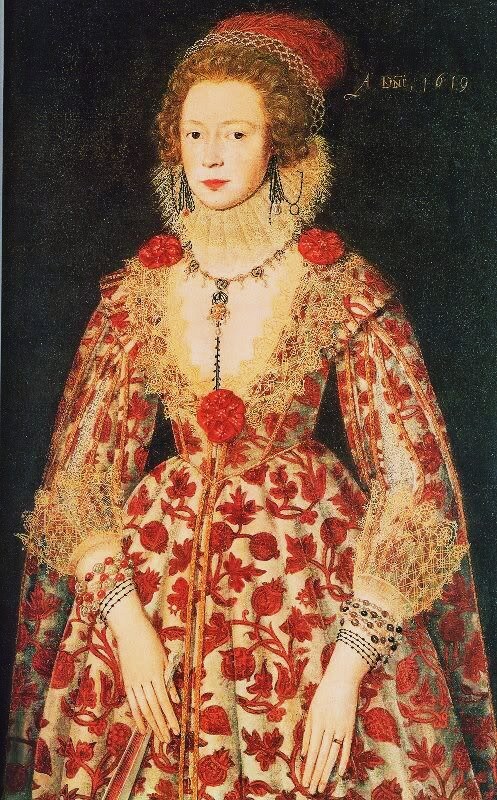 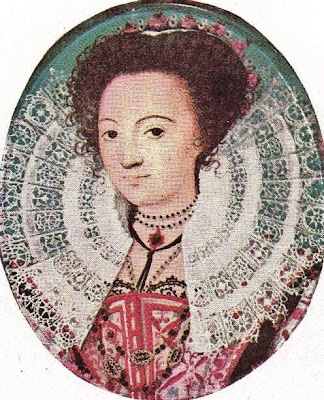 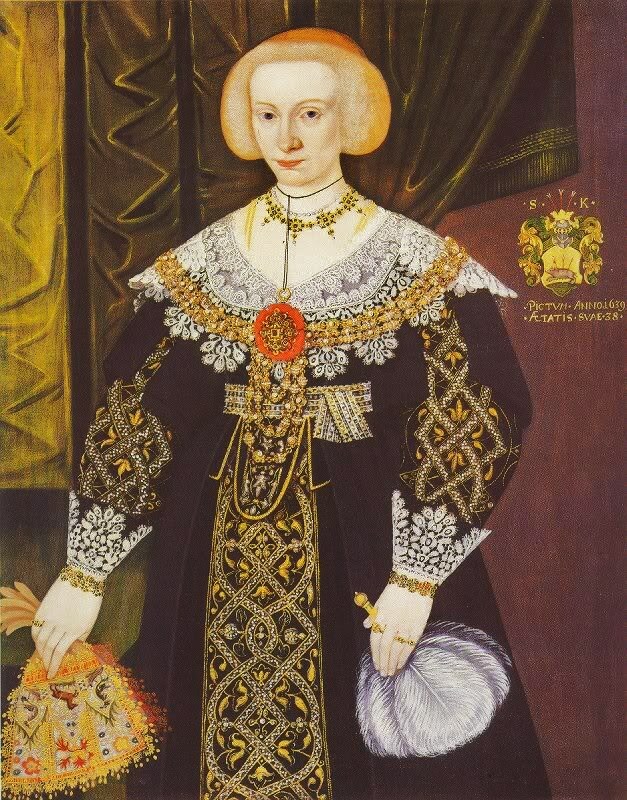 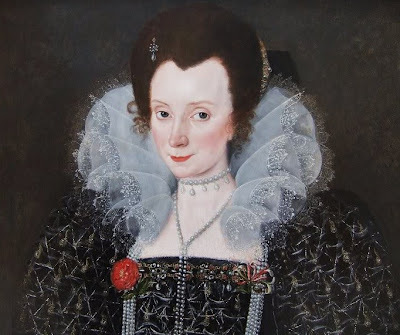 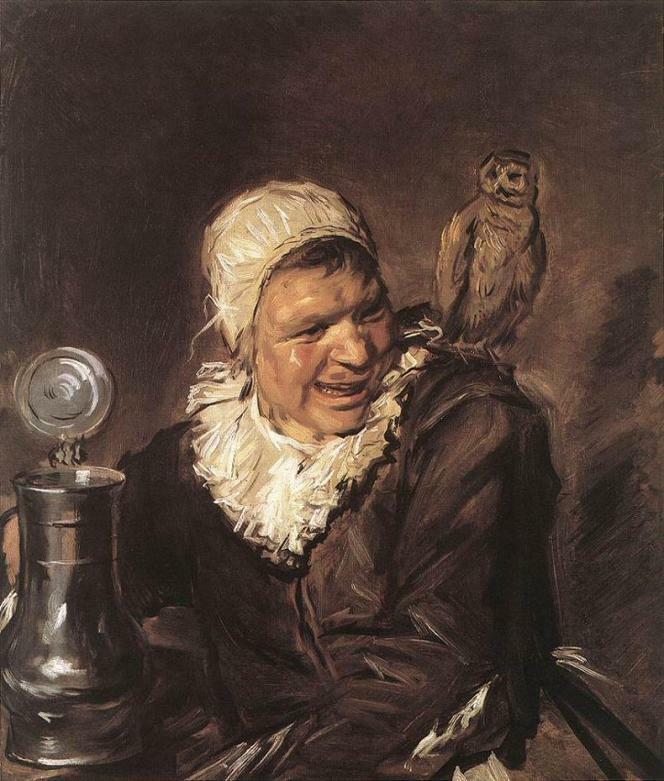 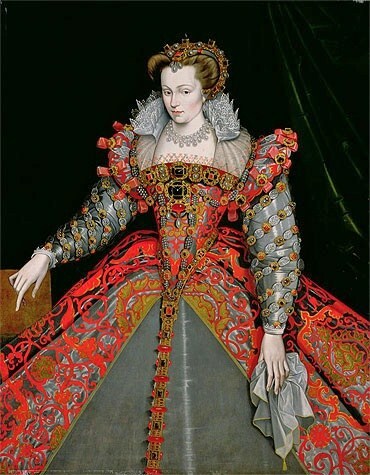 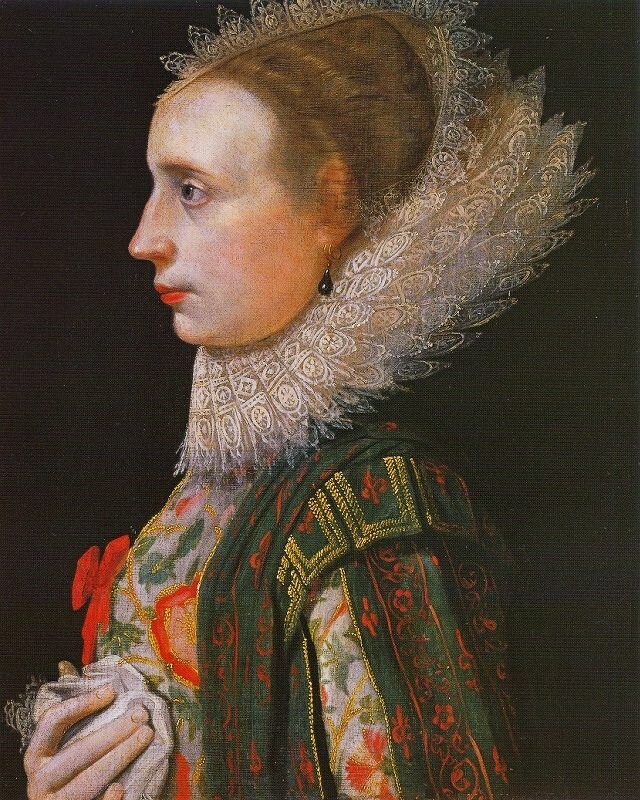 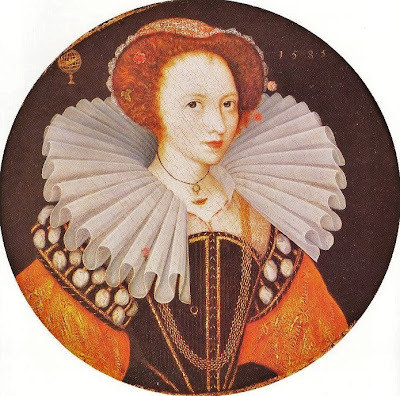 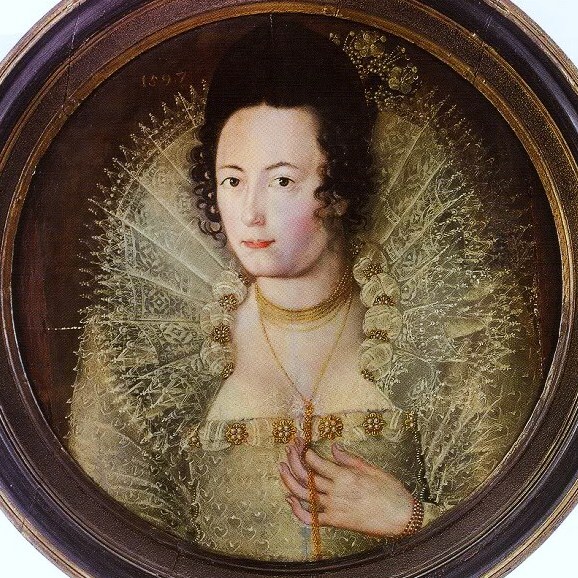 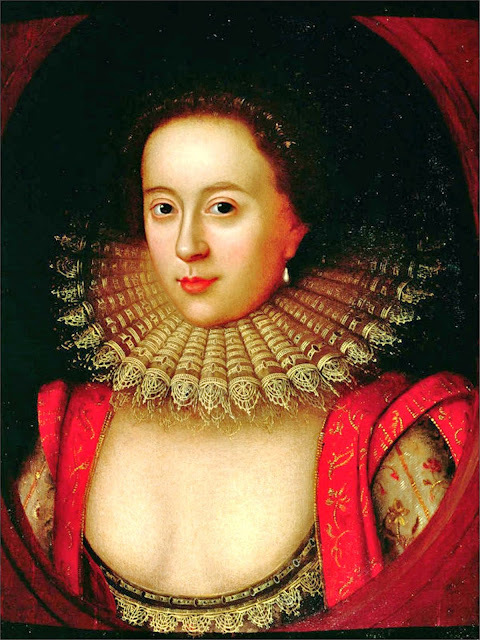 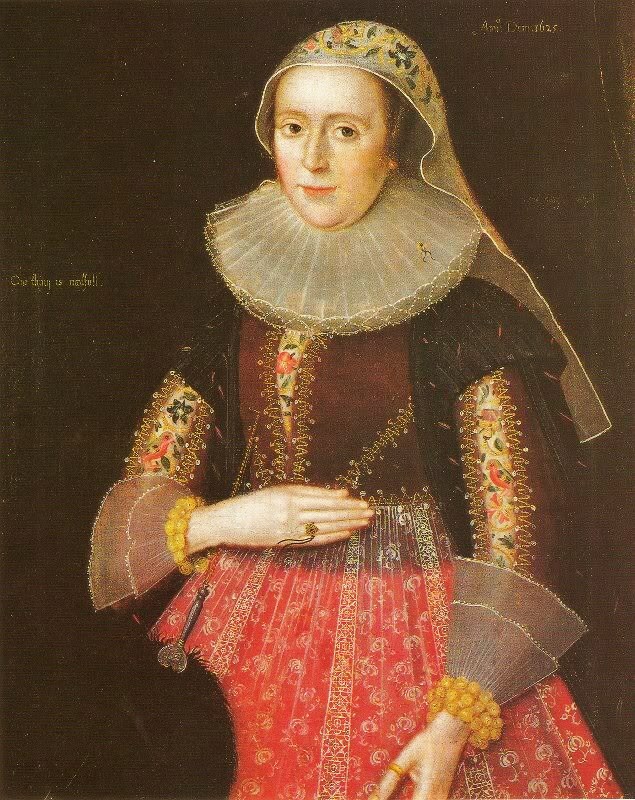 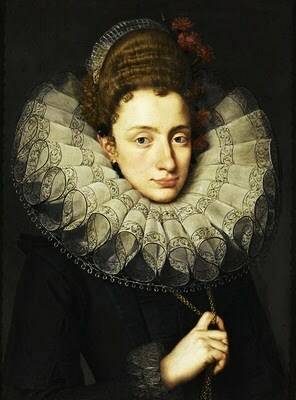 Ceremonial paintings of women often retained the conservative black & white depictions including the ruff in the 1600s. 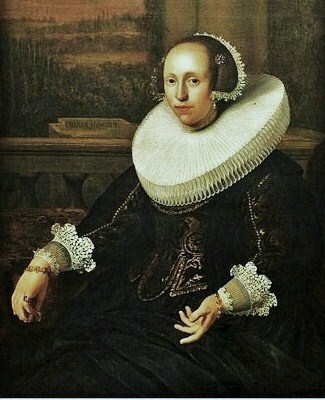 The ruff usually evolved into a more relaxed form as time passed. 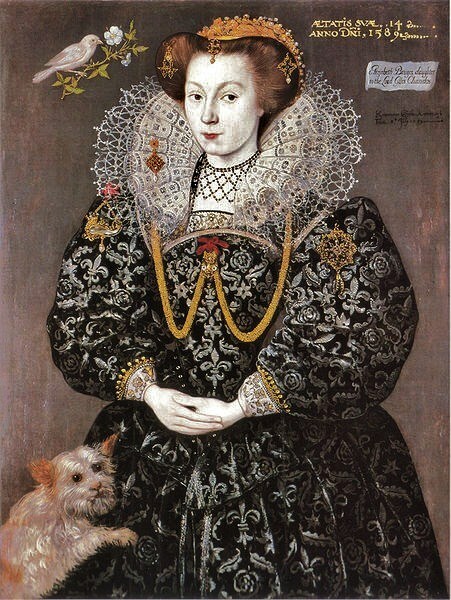 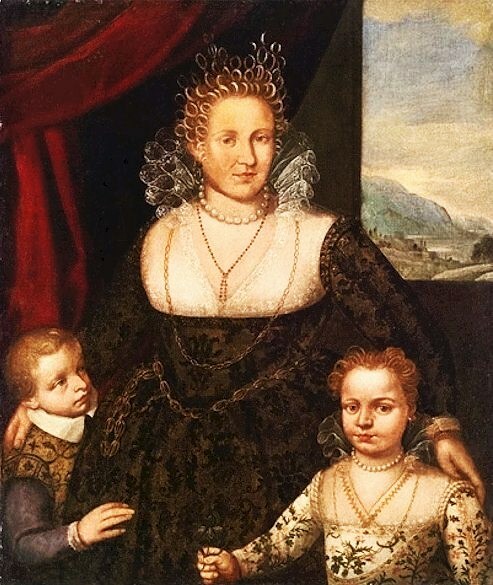 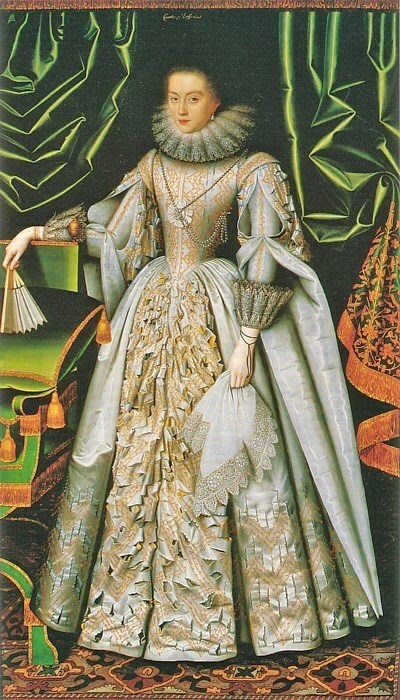 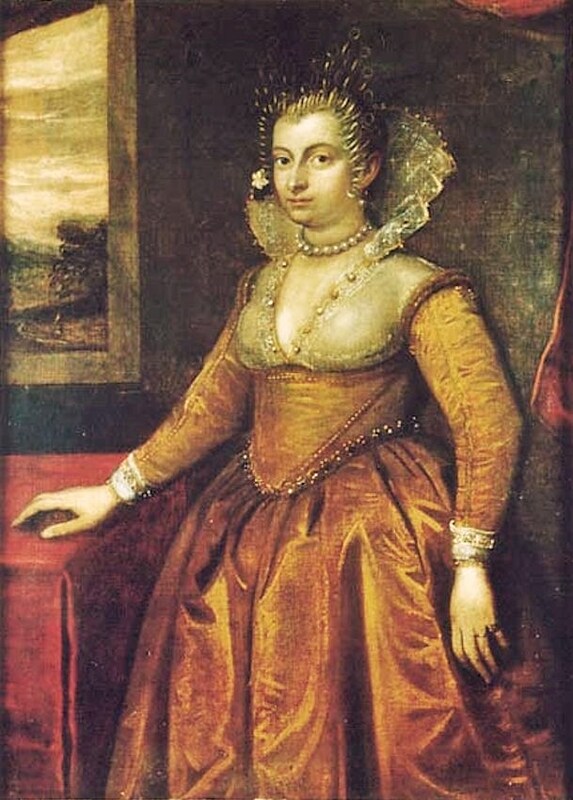 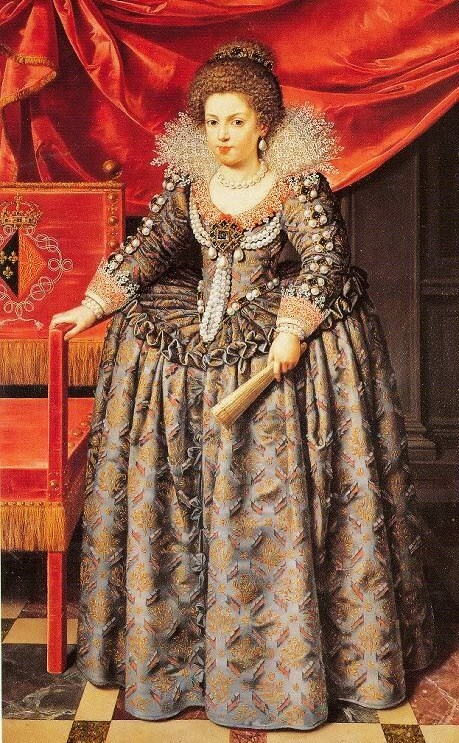 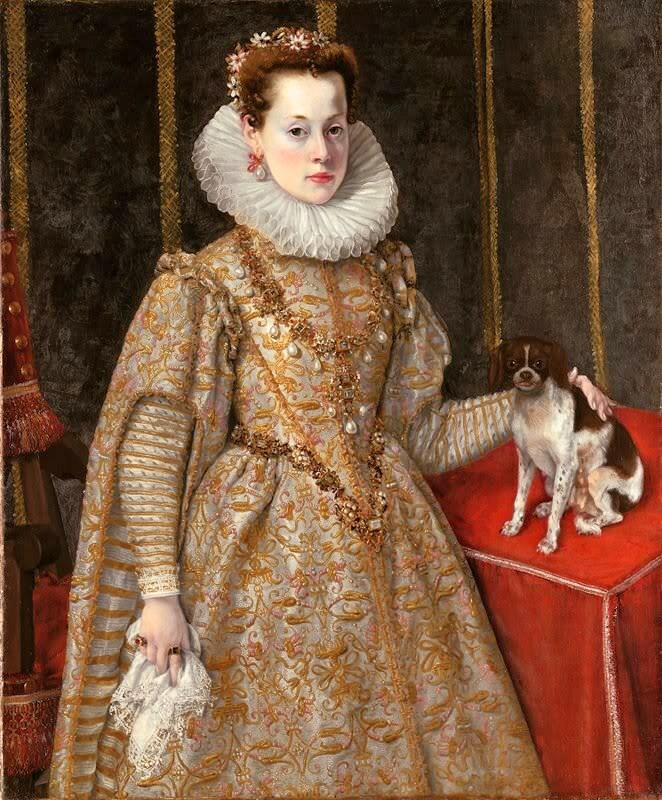 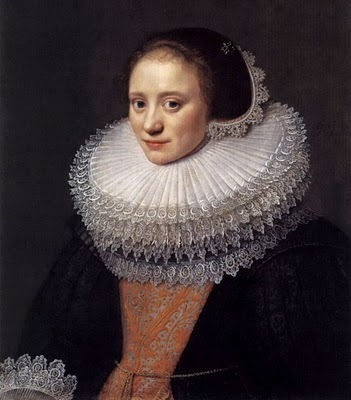 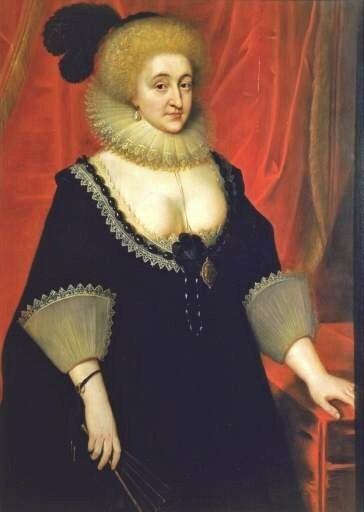 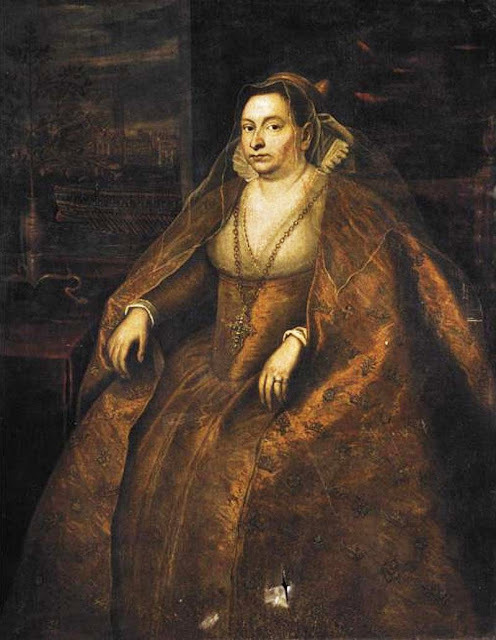 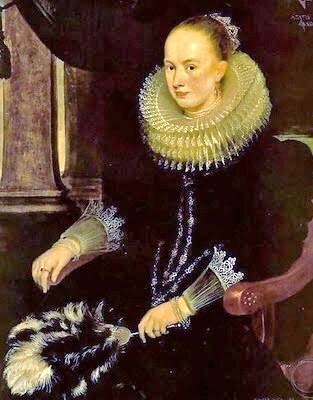 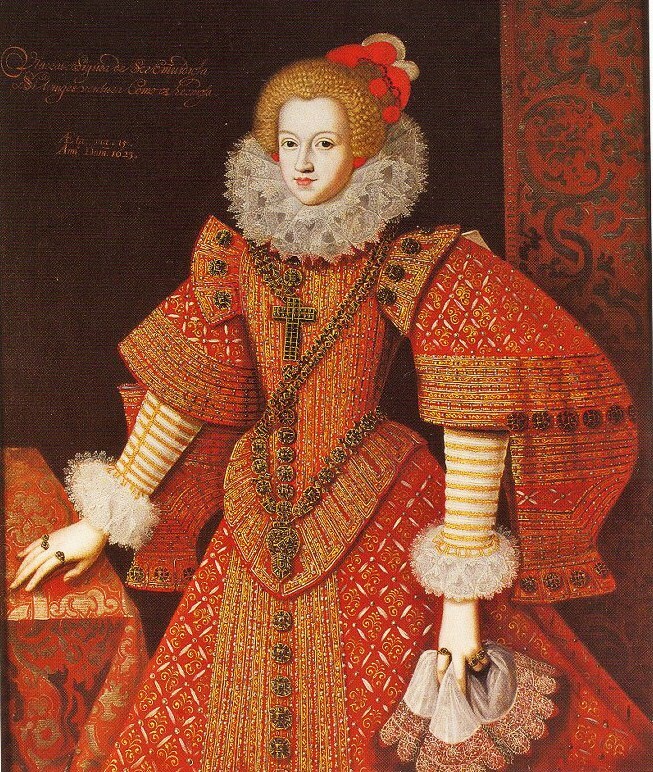 Northern European women gave up their traditional black & white dress including ruffs more slowly. 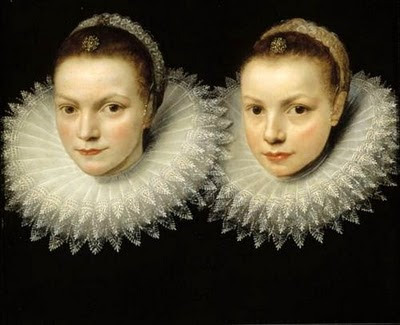 The standing ruff survived into the 1620's, but from 1615 to 1640 the falling ruff was more popular. 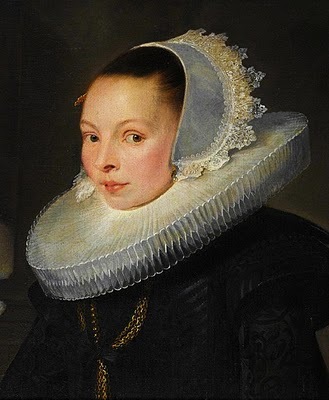 The ruff remained as a component of the ceremonial dress of city councillors in North German cities; of certain Lutheran clergy in Denmark, Norway, on the Faeroe Islands, in Iceland, & in Greenland. 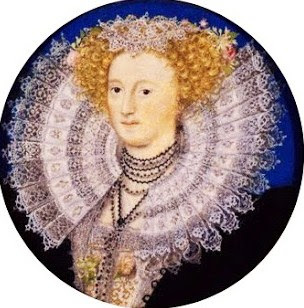 By the end of the 1500's, many ruffs were lace made of both needle & bobbin type lace. 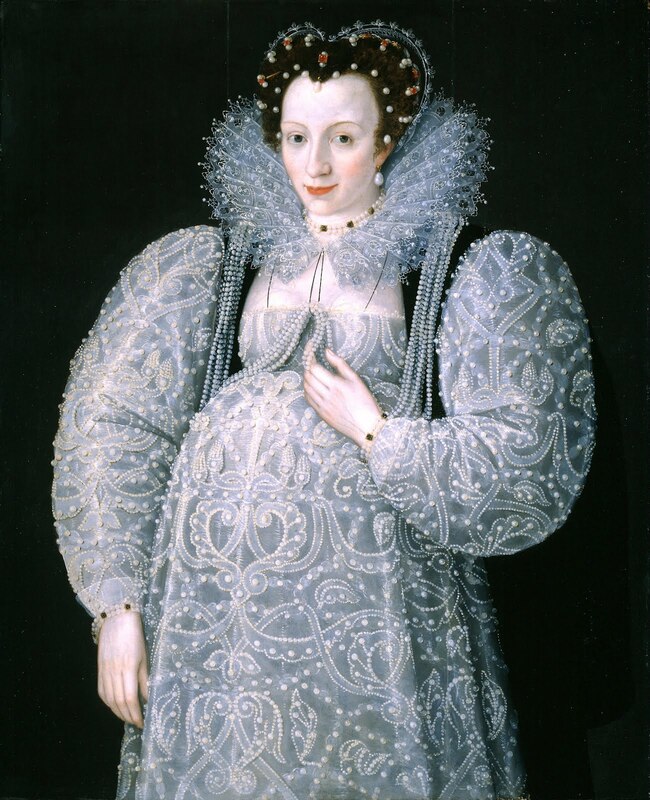 In the 1580s, ruffs generally began to expand even further outward. 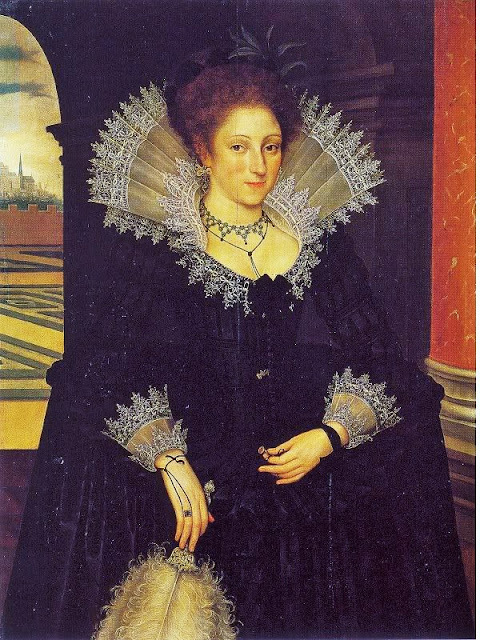 They became slightly flatter, no longer filling the space from shoulder to neck; instead, the figure-eights became wider & flatter & the ruff itself became wider in diameter. 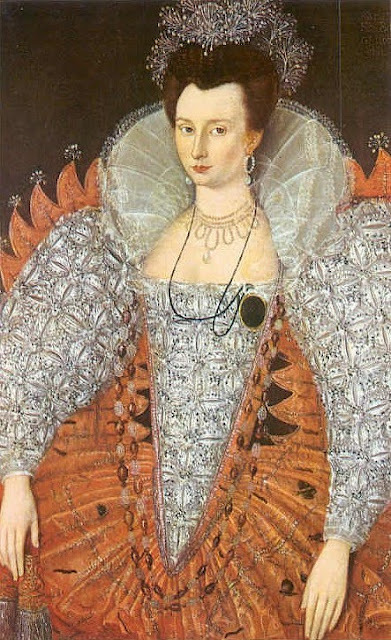 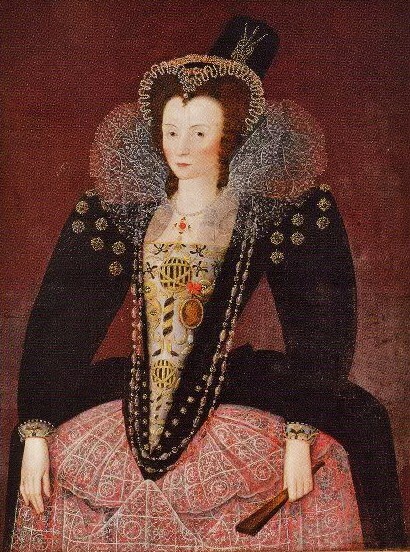 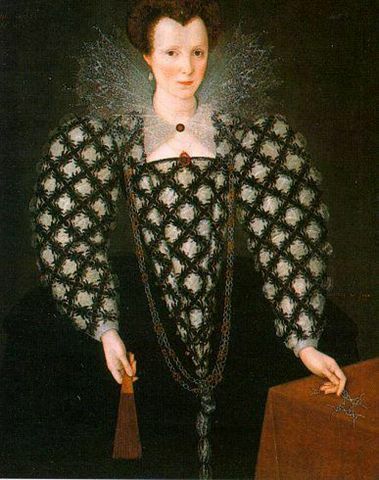 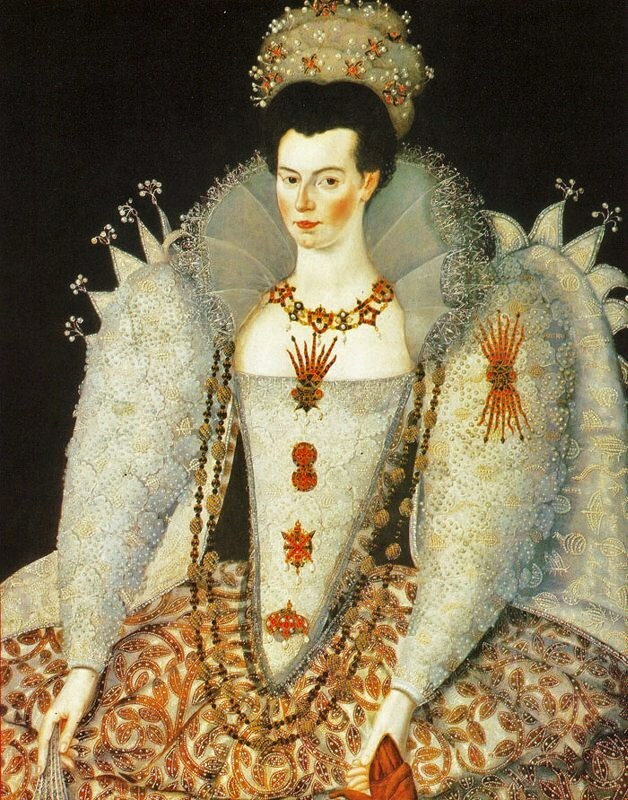 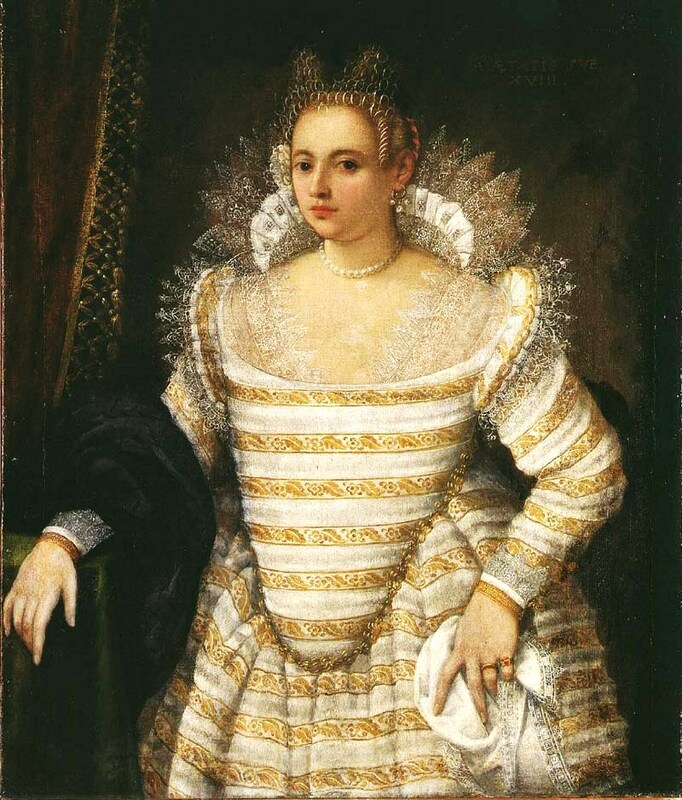 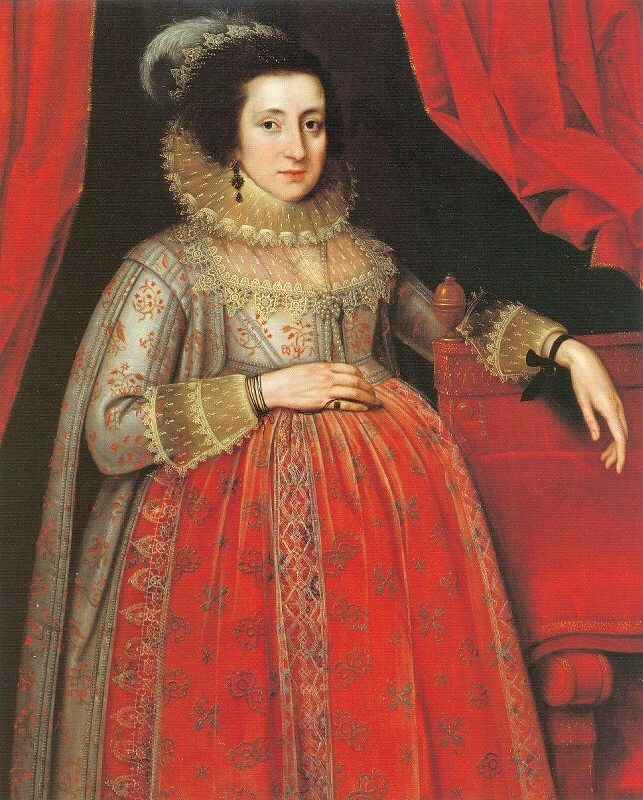 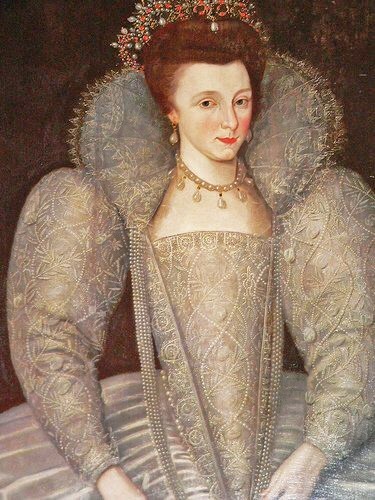 During the 1590s, both small & large open falling neck ruffs & larger standing ruffs & more open bodice areas became popular. 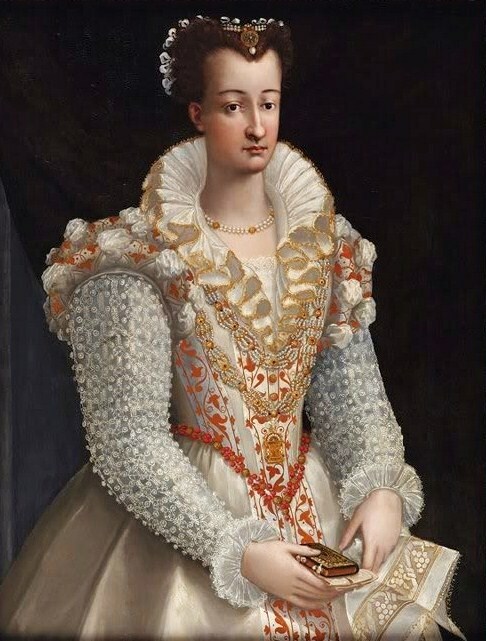 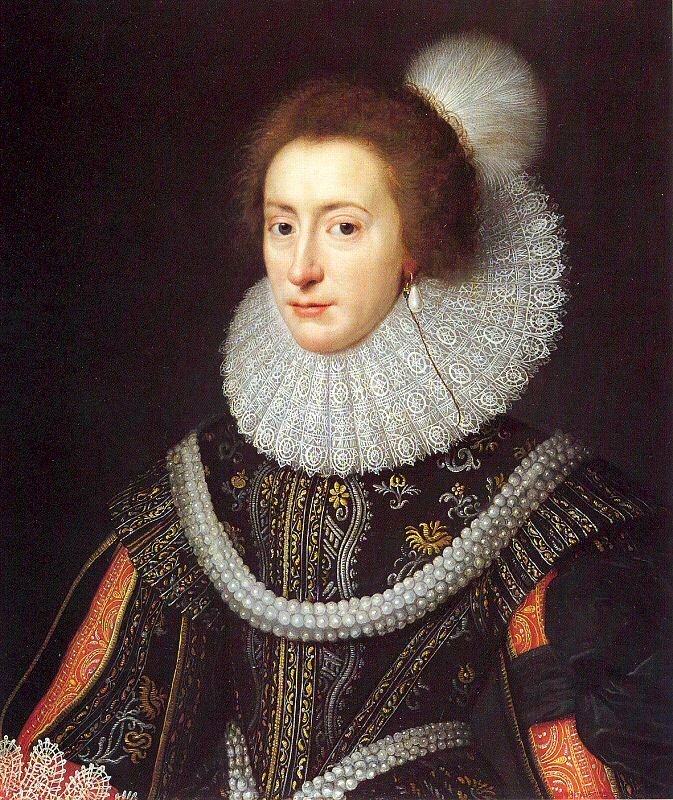 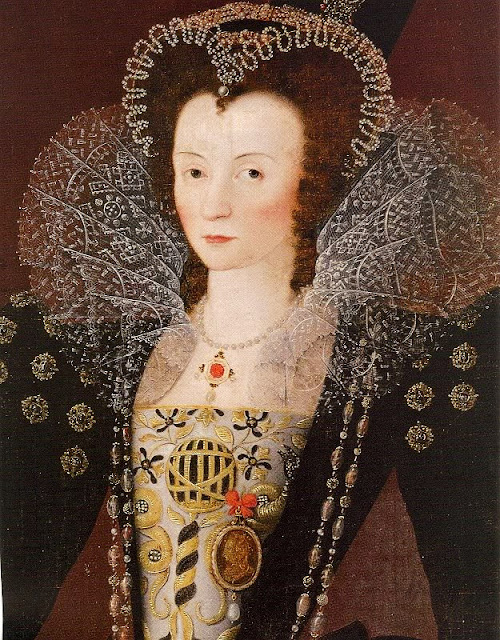 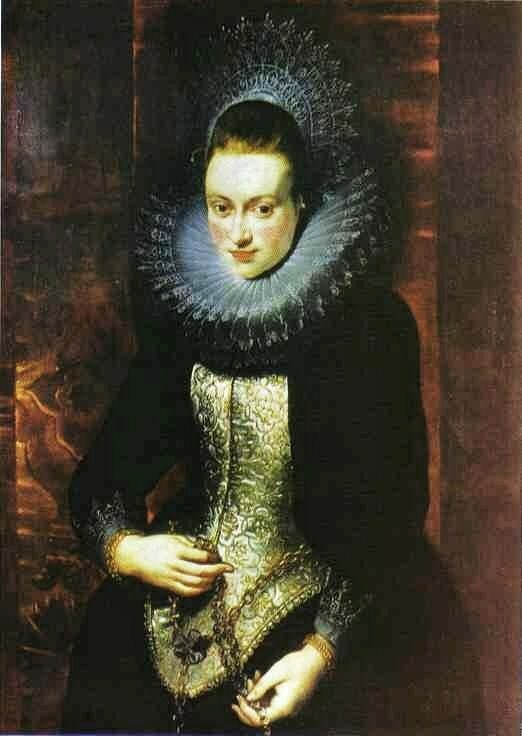 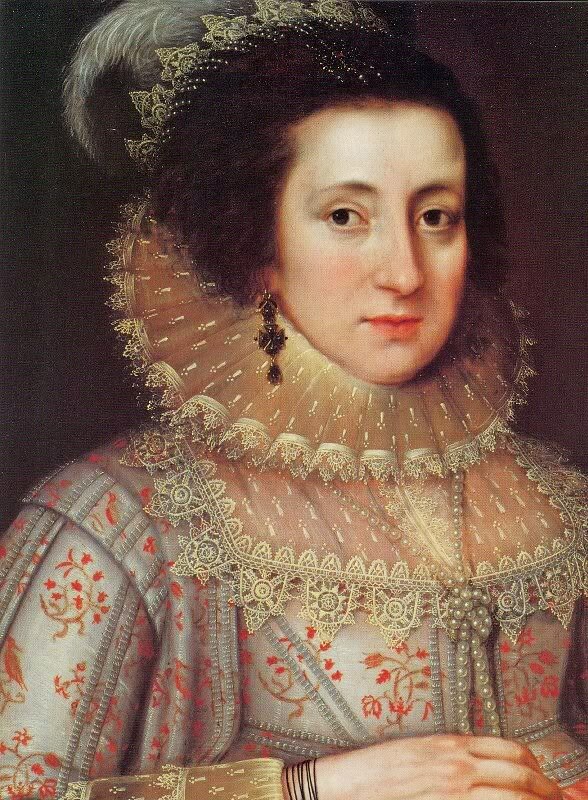 By the end of the 16th century, ruffs were falling out of fashion in Western Europe, often in favor of lacy wing collars.